Salesforce allows you to obtain a copy of all your data using the data export feature. You can generate backup files manually once every six days or schedule them to generate automatically at weekly or monthly intervals. The backup file will come to you in the form a zip file that contains all of your organization’s data in a set of CSV (comma-separated values) files. 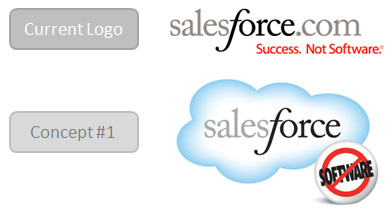 If you do not see the data export feature, contact salesforce.com to have the Data Export Service activated. Click Setup >Data Management > Data Export > Schedule Export. Select the desired encoding for your export file. Leaving the default is fine. Leave the default Replace carriage returns with spaces if you want your export files to have spaces instead of carriage returns. Select Weekly as the the frequency for the exports. Choose start and end dates. Set the end date to sometime in the distant future such as 20 years from the begin date. Set the time of day for your scheduled export. The export is put in a job queue and the exact time of the export will depend on the amount of activity in the queue. You can select the types of data to include in your export. It is best to include all data in your export file. This will make sure all your organizations data is exported. Formula and roll-up summary fields are never included in exports. Articles are not included from exports. The export notification email is sent to the email address on file for the user who created the scheduled export. There is no way to indicate another email address. If as an Administrator you want the email to go to another person, have them grant you login access, login as them and schedule the data export. Scheduled backup exports of your data is limited to weekly exports. You have 48 hours from the time you are notifiedthe backup is available to download the backup file.